The Shanghai Stock Exchange said in the statement released on Friday it would no longer use the “window guidance” or “verbal guidance” any more and to “reduce trading obstacles and unnecessary interventions, so that the market can have a clear view of what to expect from regulators”. The stock exchange also pledged to use other regulatory measures such as suspending accounts’ trading more cautiously, according to the statement. It came after China’s securities regulator earlier this week pledged efforts to improve regulation and reduce intervention into investors’ trading to shore up investors’ confident in a market downturn. “Window guidance” was widely employed in China between mid-2015 and early 2016, when Chinese stock markets experienced a significant rout. Some analysts argue that a series of restrictive trading measures implemented at that time led many listed companies to seek funding by pledging their shares as collateral to get loans from brokerages and banks – a high risk funding channel when stock prices fall, as they have this year. 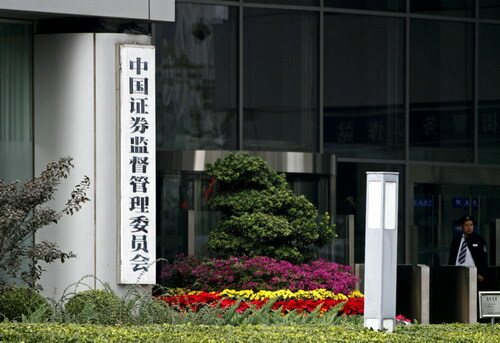 On Tuesday, the China Securities Regulatory Commission released a statement with only about 200 words saying that the CSRC was working with the Financial Stability and Development Committee of the State Council on three issues: improving quality of listed companies, optimizing supervision on trading, and encouraging value investment. While the statement did not commit to specific rescue policies, but investors believe the statement is clearly releasing a strong “loosing” signal, especially for supervision on transaction funds which addresses many worries among investors such as regulator’s window guidance. Investors are particularly interested in the second point listed in the statement which says that the regulator will “reduce trading barriers and increase market liquidity, with measures including reducing unnecessary interventions in the trading process, allowing the market to have clear expectations for regulation and allowing investors to have fair opportunities to trade”. A private fund manager based in Shanghai told the Yuan Talks that currently the most direct intervention may refer to the regulators’ window guidance on buying and selling activities of institutional investors. “Optimizing supervison on trading refers to reducing restrictions on trading activities,” said Hao Hong, chief strategist at the Bank of Communications International in Hong Kong. “When you want to sell stocks you are holding, you will receive window guidance from the regulator, especially in a period heightened market volatility and therefore, when investors want to buy stocks, they are worried if they will be allowed to sell when they want to,” said Hong. While regulation is good for the market, excessive intervention will dampen investors’ enthusiasm and distort the process of price discovery, Hong added. Several investors told the Yuan Talks that, since the stock market crash in 2015, the regulator has viewed market stability as the top priority and sometimes use window guidance to restrict stock selling. For example, in November 2017, blue-chip stocks which had seen a big rally started to see a major selloff, sparking panic among investors. It’s reported that mutual funds received window guidance from the regulator to restrict net sales, said the fund manager. The CSRC will also said it will encourage “value investment,” to allow institutional investors including insurances, social security funds and securities investment funds to direct more incremental mid-term and long-term capital into the market. The banking and insurance regulator announced last week that it will allow insurance companies to introduce special products so they can invest more into the stock market, in a move to guide more long-term capital into the market. The CSRC also vows to support share buy-backs, mergers and acquisitions in the capital market, acting in accordance with its supervising agency. The statement is the latest in a deluge of measures by China’s regulators overseeing the stock market and the finance industries after Vice-Premier Liu He this month voiced his support of the nation’s stock market.